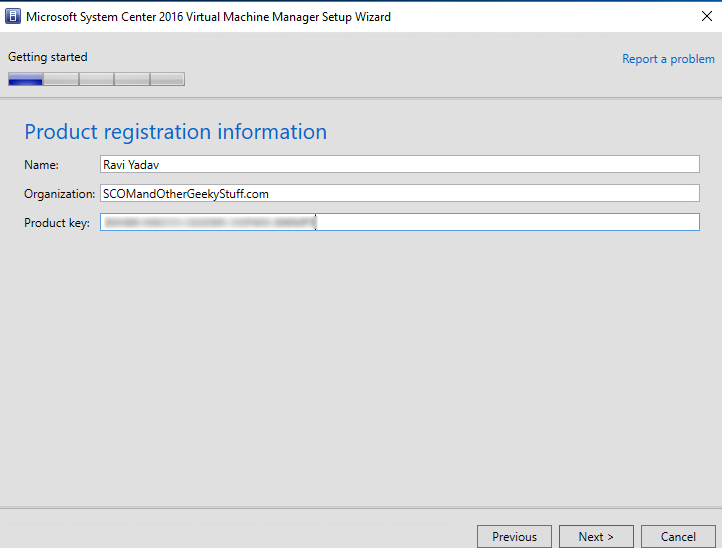 Finally, Microsoft/System Center team published the much awaited Management Pack for SCOM 2016 and Hyper-V 2016. 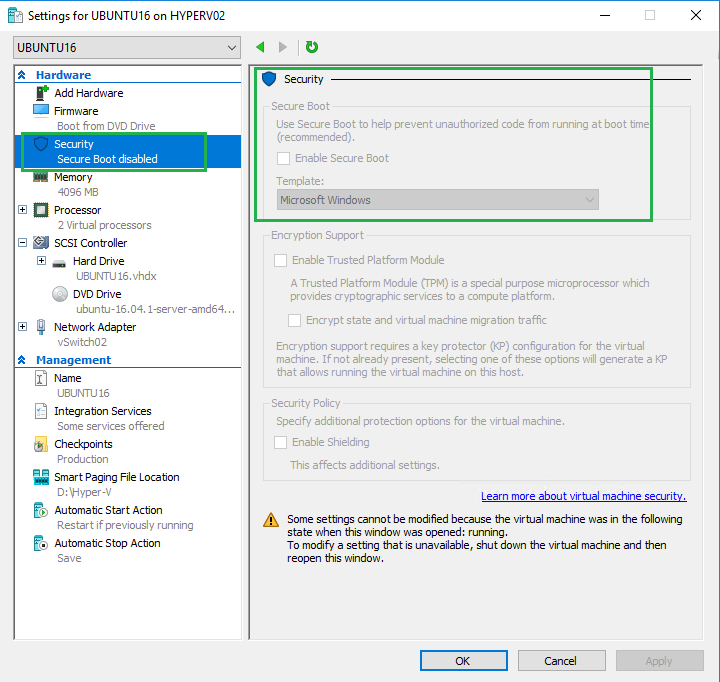 Here is the link to download and get Hyper-V 2016 monitored in your environment. LINK. 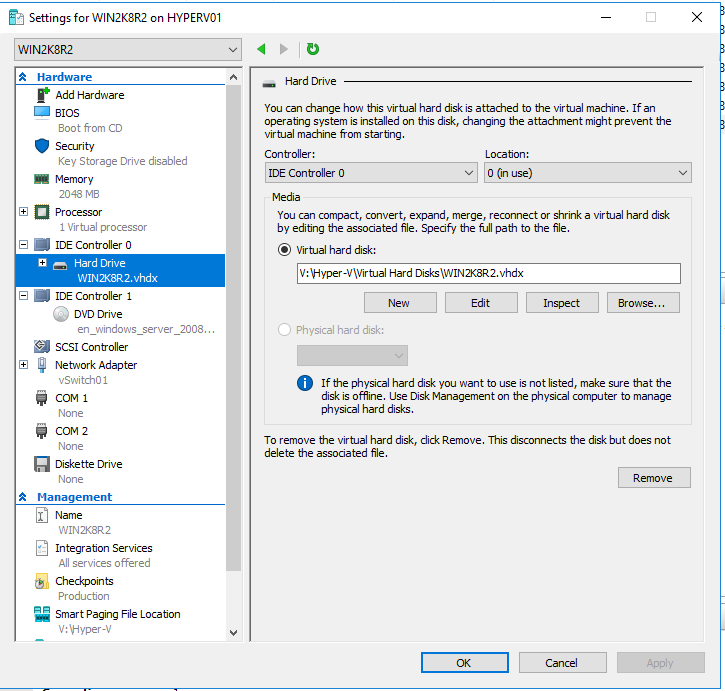 In this post, I am going to show how to upload a custom image used in Windows Hyper-V (2016) to Azure cloud. 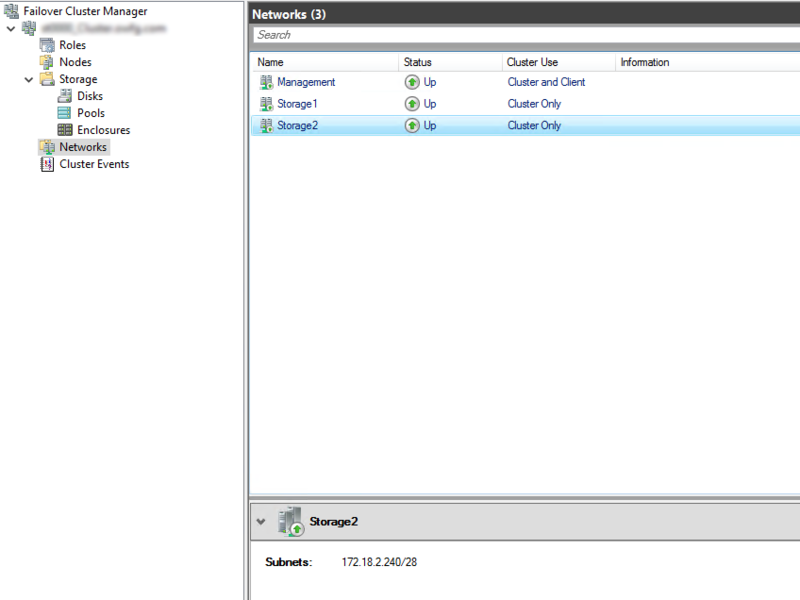 I will be using a combination of the UI in Hyper-V and PowerShell in Azure Resource Manager. I will be working with Azure Resource Manager (ARM) and with Hyper-V 2016 with a custom image of Windows Server 2008 R2 SP1. First, we need an image to work with. As mentioned, I am using a Windows Server 2008 R2 SP1 (yes, 2008 — needed it for a customer). 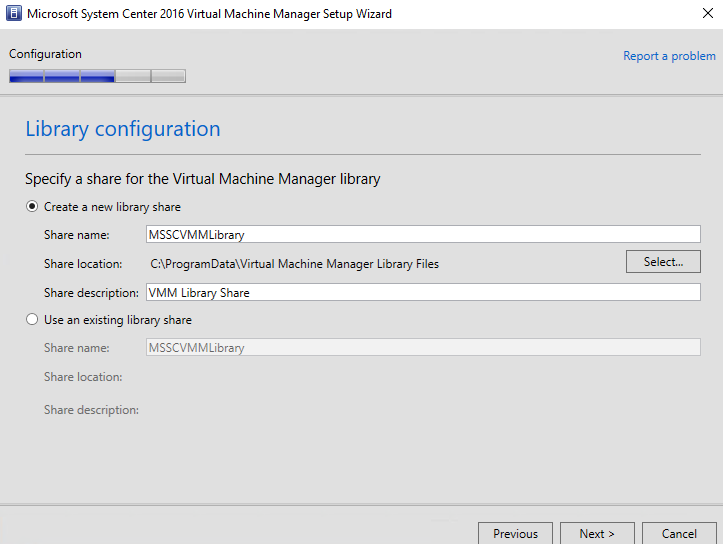 The VM is Generation 1, which is not only a requirement for Windows 2008, but also a requirement for Azure, as it currently does not support Generation 2 VMs. 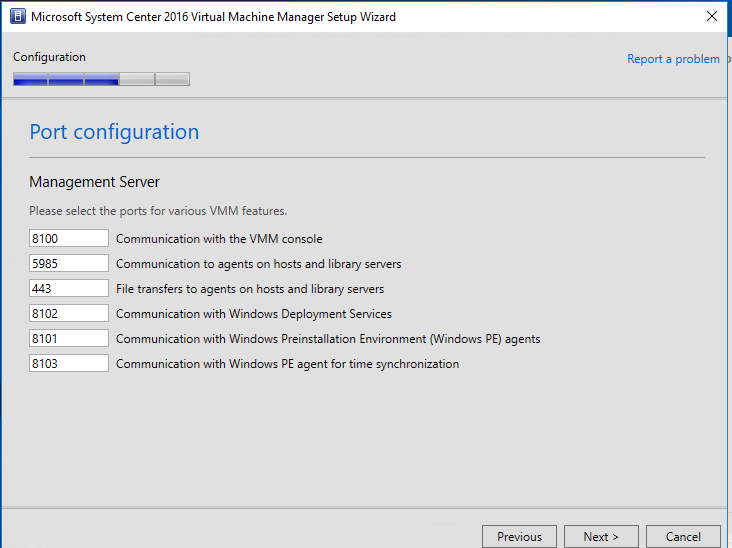 See HERE to read more on preparing a Windows VHD. 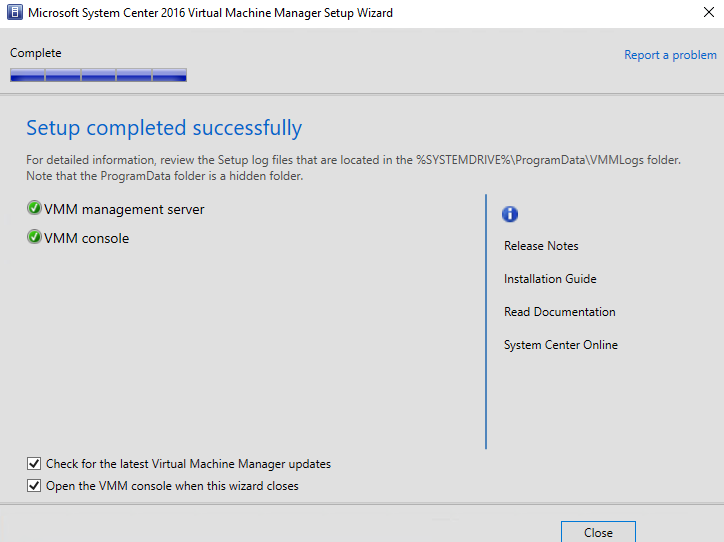 Next, we need to install Hyper-V role on the VM. Since this is a nested VM, we will first need to enable nested-virtualization on the Hyper 2016 box. See a previous post on how to go about this HERE. Once that is complete, go ahead and install the Hyper-V role. Next, we now need to SysPrep our VM. From an Administrative command prompt, navigate to %windir%\system32\sysprep and then execute the command “sysprep.exe”. 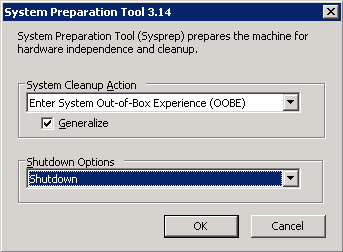 Here, we will be using OOBE and enabling “Generalize”, also “Shutdown” the VM once SysPrep completes. Once the VM is SysPrep’ed, we now need to compact the VHDx (remember Hyper-V 2016 here) and also will need to convert the VHDx to a VHD. This is due to the limitation of Azure at the moment, as it only supports Gen1 VMs and VHD’s. 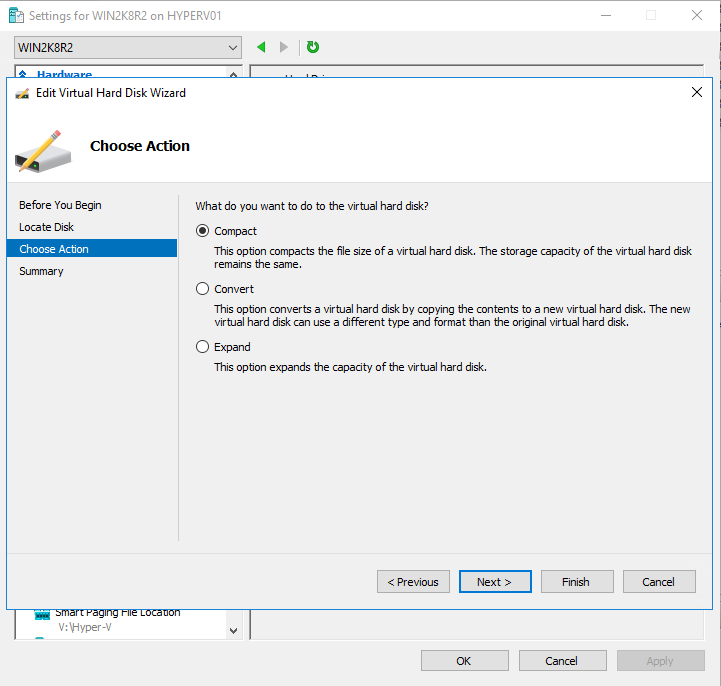 Go into Hyper-V and within the VM properties, edit the Virtual hard disk. Then we will need to compact the virtual hard disk. Go ahead and do that..
Great, now we need to convert the VHDx to a VHD. Time for PowerShell! Great, now we are ready to move on to Azure and more PowerShell. Next, since there was a recent update to the AzureRm module, I now need to update the module path location. $env:PSModulePath = $env:PSModulePath + "; C:\Program Files\WindowsPowerShell\Modules"
Next, we will need to import the AzureRm module. Next, we’ll need to log-in into our Azure account, and specify the subscription to want to work with. In my case, there are multiple Azure subscriptions tied to my email. Next, we will create a resource group and storage account, and bind the account the group. New-AzureRmResourceGroup -Name "ResourceGroupName" -Location "Canada East"
New-AzureRmStorageAccount -ResourceGroupName "ResourceGroupName" -Name "StorageAccountName" -Location "Canada East" -SkuName "Standard_LRS" -Kind "Storage"
Standard_LRS – Locally redundant storage. 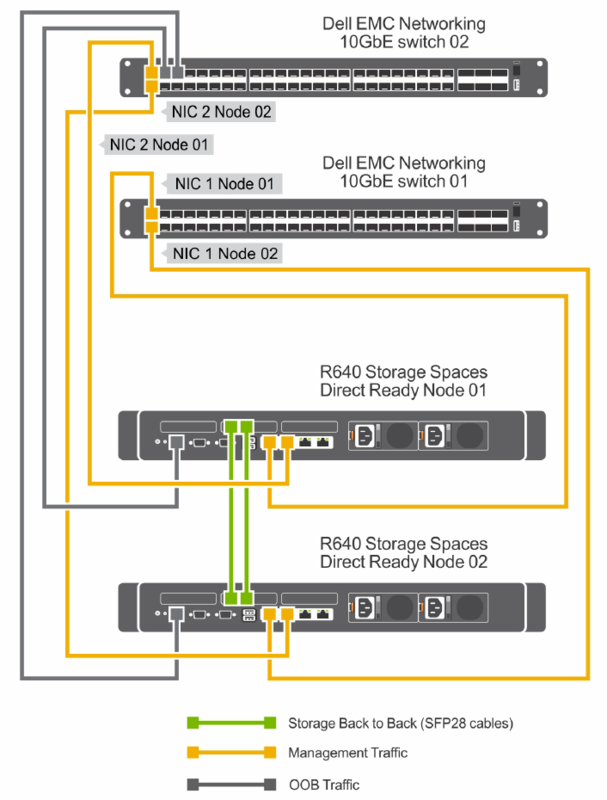 Standard_ZRS – Zone redundant storage. 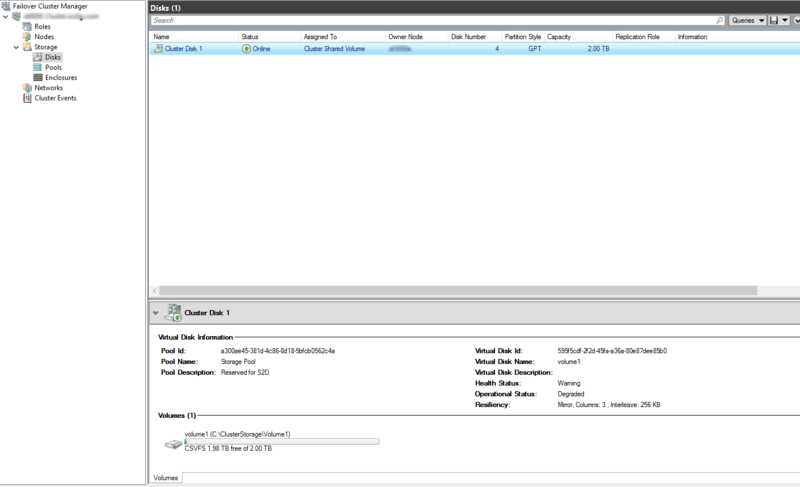 Standard_GRS – Geo redundant storage. 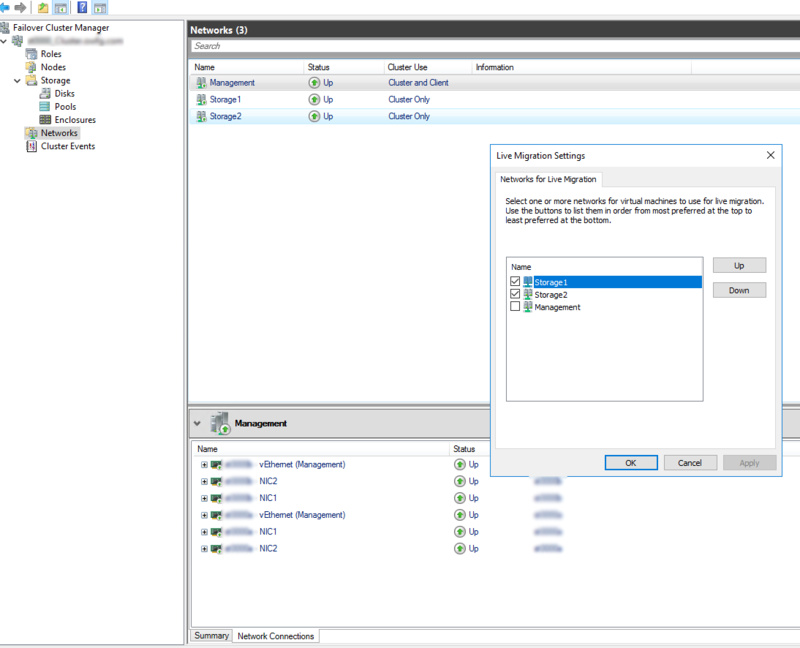 Standard_RAGRS – Read access geo redundant storage. Premium_LRS – Premium locally redundant storage. Now, we need to create a Container and grab the URL needed to upload our image. I did this through the Azure Resource Manager (ARM) Portal since I couldn’t figure out the PowerShell cmdlet (Get-AzureStorageBlob) — if you can get this to work, please let me know! You can get the URL from the Web UI when you go into the Storage Account >> Blobs >> Container (in my case, I called it “VHD”) >> Properties. Now we are ready to upload our image/VHD to Azure! For me this took about 2 hours, uploading a 80GB file @ 9-10MBs. 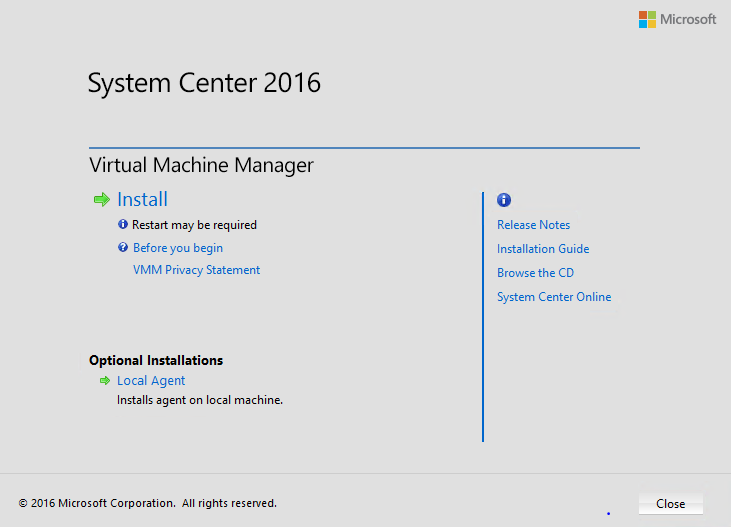 Finally got some time to installing and play around with SCVMM (System Center Virtual Machine Manager) 2016 this weekend. 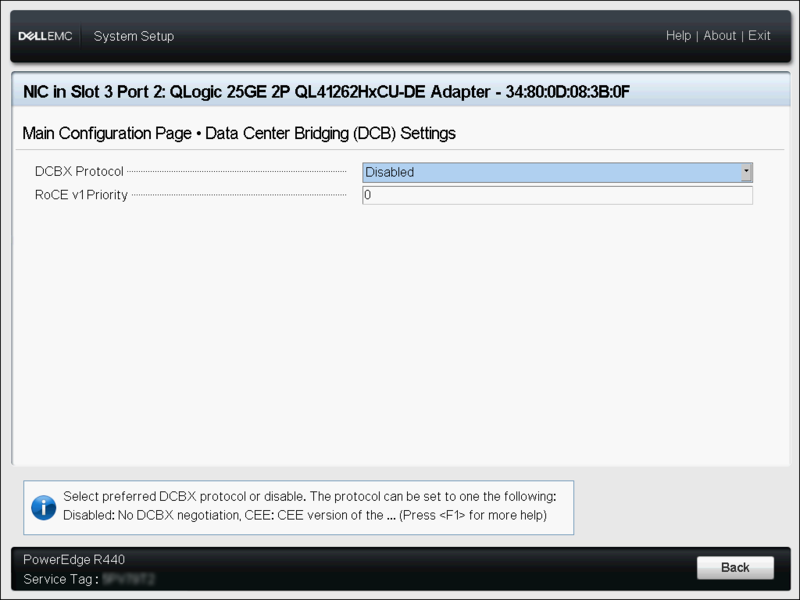 Along with the installation and configuration, I figured to snapshot the installation and configuration. 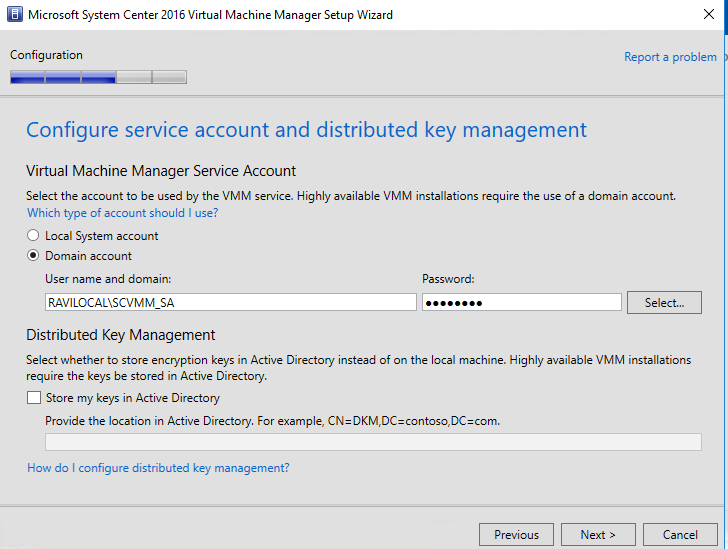 Below are the steps I have taken to get a PoC (Proof of Concept) of SCVMM installed. 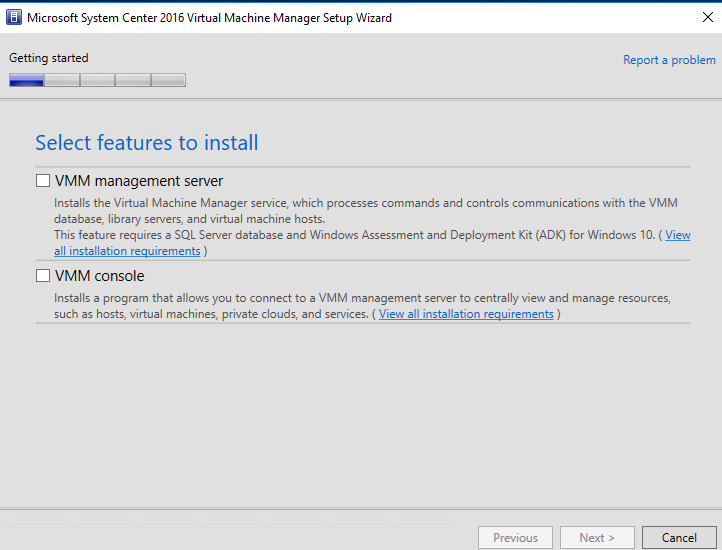 For this installation, I will be installing SCVMM 2016 on Windows Server 2016 (with UI) and on a virtualized machine within a Hyper-V (2016) environment. 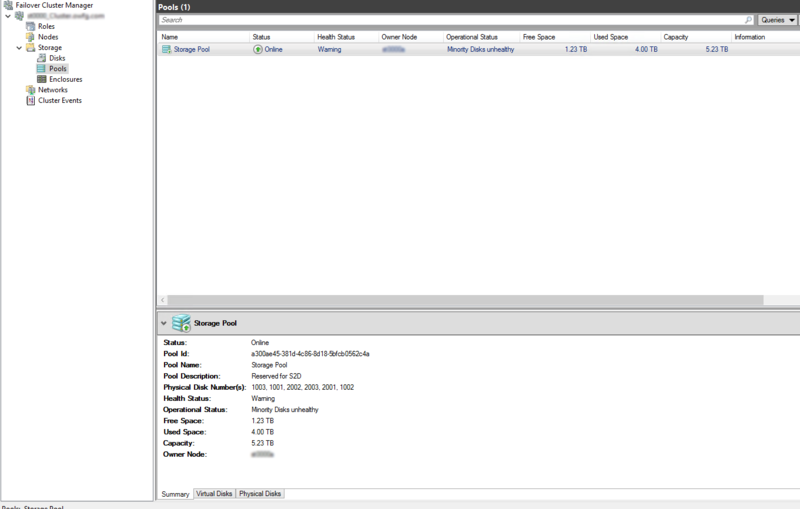 There is no fancy storage here, so I will omit that for this configuration/blog post. Once you have done this, I then added the SCVMM accounts to the Local Administrators group on the server. 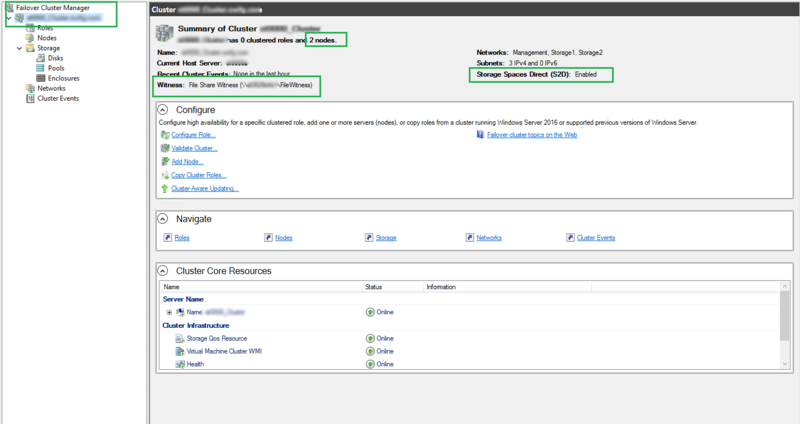 Next, you will need to prep you server with the Windows Automated Deployment Kit (ADK) and SQL Command Line Utilities. Download the Windows ADK for Windows 10. 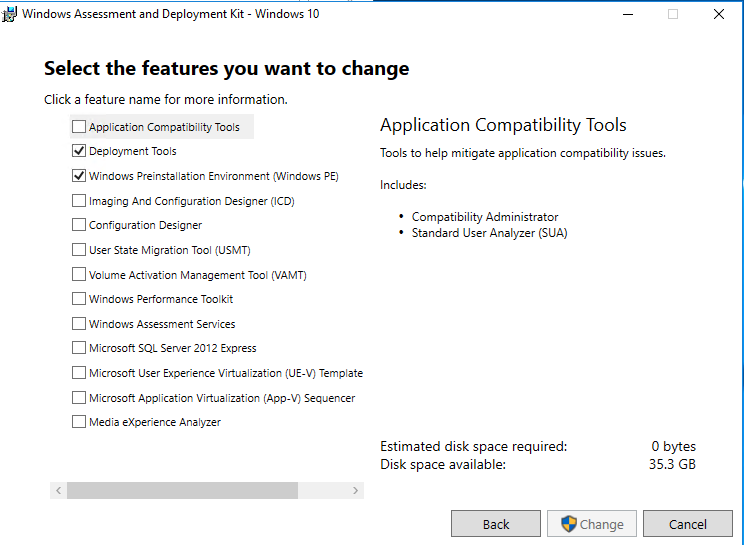 You will need to install the Deployment Tools and Windows Preinstallation Environment (Windows PE) features. Then I downloaded the SQL Server Command Line Utilities 11 along with ODBC Driver 11 for SQL Server. Both of these downloads can be found below. 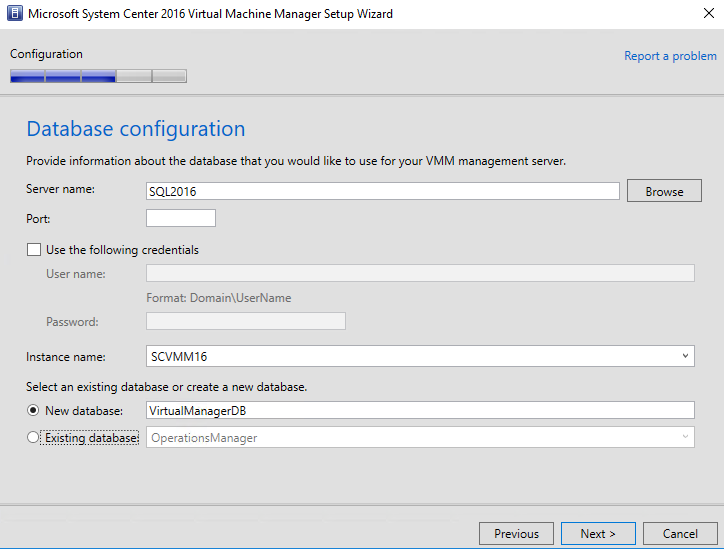 Once complete, I then installed a new SQL instance on my SQL 2016 SP1 machine, called it “SCVMM16“. After that, then I was rebooted my SCVMM server, and I was ready to start the SCVMM 2016 install. Connect to a SQL instance. 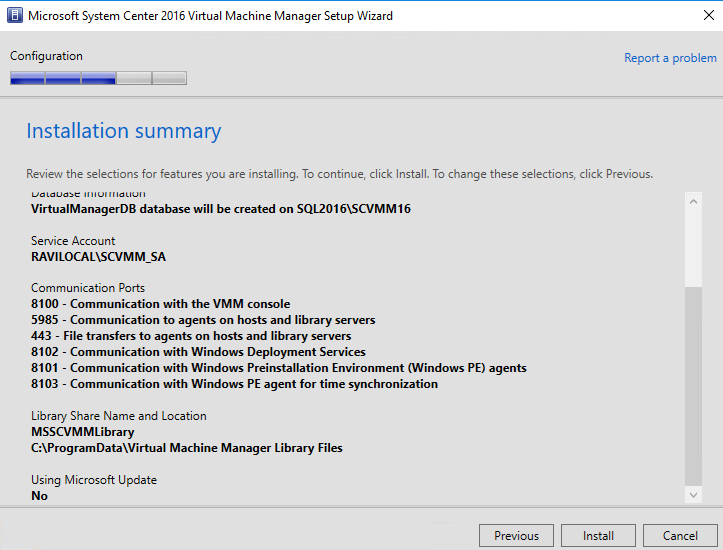 If you need to know the SCVMM SQL requirements, go HERE. Since this is a PoC, and not being prepped for a Production environment, I can go ahead and skip the Distributed Key Management, although this is required and recommended if you’re deploying in a HA/Production environment. Double check the default ports are open for the install, or update the ports as needed to correspond to your environment. 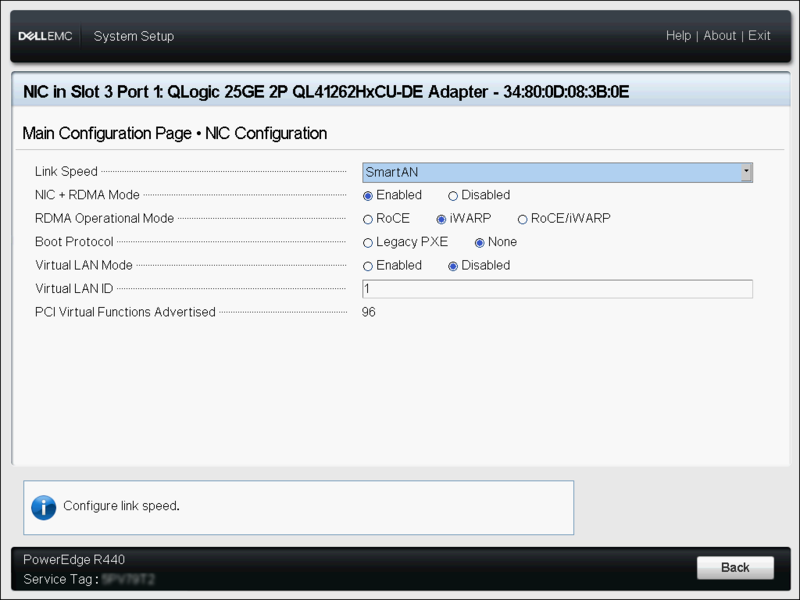 Since this a fresh install, and I did not setup an external SAN storage, I will keep this as default, and configure later. Double check and confirm the summary details before proceeding — no going back after this…. Sweet!! Now we are ready to roll.